DAVID LE/Staff photo. 7/7/15. 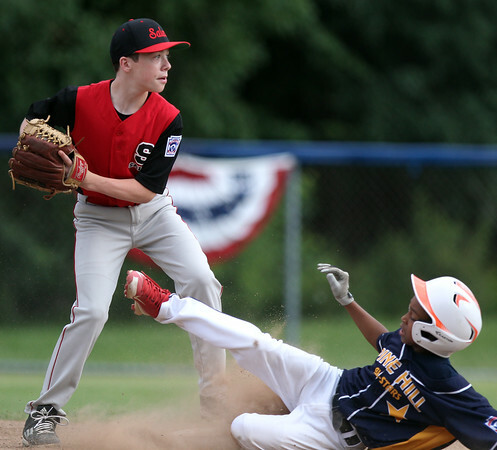 Salem second baseman Tommy Beauregard looks to turn a double play as Pine Hill leadoff hitter Miguel Segura slides in to break it up.